San Francisco, USA, 2017-Mar-28 — /Travel PR News/ — Airbnb today announces the expansion of its Trips platform in Japan, adding bookable local experiences in both Tokyo and Osaka and Tokyo guidebooks to the thousands of homes already available to stay in. For visitors, Trips is a way to experience a different side of the city, immersing themselves in local communities. At the same time, it can help cities to diversify tourism away from busy centres and allow local people to benefit from tourism and engage with visitors by sharing skills and making a little extra money from their interests and passions. Trips is also a great way for local residents to discover new things to do and meet new people. Trips is entirely powered by local people and brings together location, people and activity. Within the platform, Experiences offers unprecedented access to local passions and interests. This will uncover the unique cultures of Tokyo and Osaka with an active member of the community, or learning about the Bonsai art from a young Bonsai master, or learning all about sake and food pairing from a sommelière. We want to make travel magical again by immersing curious visitors in local cities and communities, offering the opportunity to see the true character of a city through the people who live there. Tokyo is already one of the the top experience destinations globally. More and more guests want to explore the Japanese culture. In addition, Japanese guests who use Airbnb for their domestic travel has grown 230%. We know these wonderful local experiences in Tokyo and Osaka will continue to do well, and deliver great results for the local community. Tokyo has become the second-most popular destination for Experiences, after Paris, since Airbnb unveiled its Trips platform in November. There are now over 800 Experiences available to book in 13 cities, expanding to 51 cities in 2017. The number of Experiences available has increased by over 60% since the November launch. Kyoko is the founder of an online furoshiki shop called Link. Over a casual lunch at her cafe, she explains the history of this super-functional fabric, and introduces its many uses. These include wrapping clothes to put in a suitcase, wearing it to keep warm on a windy day, and even how to present a bottle of wine to bring to a party. A founder of Buddha Bellies Cooking School Tokyo, Ayuko is a certified sushi instructor and sake sommelier. Over two days with her, participants shop, cook and eat like locals. They bypass the more commercial parts of Tsukiji Fish Market to have breakfast alongside local fishermen who have just returned from a night time expedition. This is followed by shopping for ingredients at the market and an easy-to-follow washoku cooking lesson at her studio for lunch. The experience concludes the next day with a fine kaiseki dinner. Philip is a world famous keyboardist who has supported the likes of Whitney Houston, Roberta Flack and Grover Washington. He offers VIP access to Tokyo’s Jazz and R&B scene. The three-day experience has guests join him for dinner at a hangout in the offbeat Shimokita neighbourhood; they then go behind the scenes of a rehearsal before watching a live performance; finally they take part in an actual jamming session and learn some piano skills of their own. Hiroki is passionate not only about furniture, but about reducing waste in society. He introduces people to the joys of reclaimed furniture, explaining the importance of upcycling in Japanese culture. Participants create their own product—a stool they can carry with them on future trips. The session ends with a relaxed chat over a cup of tea or coffee. Masashi, a young master of Bonsai who studied under the renowned Saburo Kato, introduces the world of natural art at his garden and cafe. 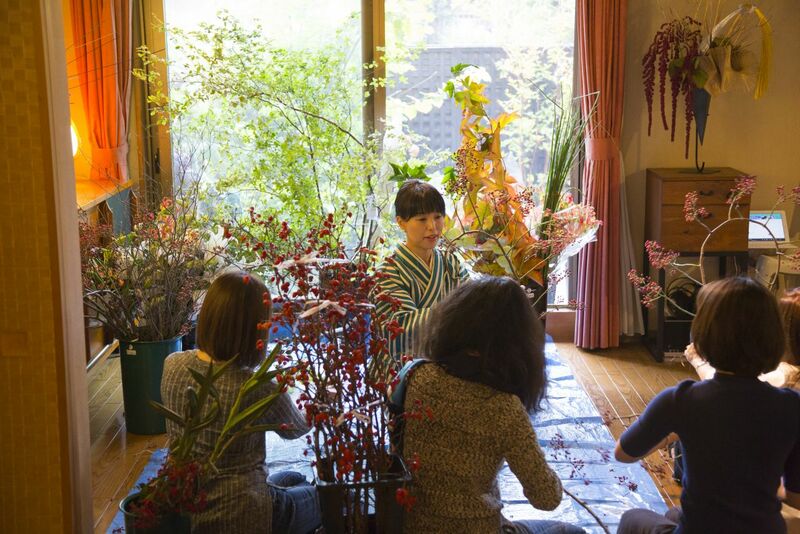 Participants learn bonsai design and care over the course of a fun and relaxed afternoon, creating their own arrangements with Masashi’s guidance. The day ends with happy hour at the cafe. Miwako who is charmed by classical Japanese paper, which her grandparents started its business 85 years ago after experienced various international careers, such as CA, translator, and global brand manager. Her workshop will start to enjoy Maccha green tea and make papers from raw material in traditional way and form them into postcards. Then, write your message on your postcards with traditional brush pen. Learn how to buy stamps in Japanese and post it to your loved one at the local post office. Raju who is born and raised as a Japanese with a South African background, he has been seeing this city with different perspectives. He has completed RYT200 in Rishikesh, India and apply it to this city life in Osaka. Being away from your home, especially in a big city, it is always hard to find yourself feel home. Airbnb provides it physically, though once you close your eyes and breath, you can find your home within you anywhere & anytime. Through the experience you will learn how to connect with yourself using yogic method at his favorite spacious Tatami room with a garden view in Shitennouji. With 30 years of dancing experience, dance has been Yuki’s theme for life. Now as a chief director of the Japan Association of Pole Dance Therapy, she’ve been focusing on therapy effects of pole dance. You can refresh yourself by unleashing your sexuality through pole dance and/or chair dance at her studio located next to “Nankin-Machi”, the China town in Kobe. After the exercise, participants can enjoy discussion about the sexuality, gender, and other hot issues. Discover the secrets of Japanese Knives with Atsushi who became a cutlery consultant at Tower Knives Osaka after a few years overseas. You will see, touch and feel the knives at different stages of production before trying your hand at knife sharpening. Next you will head to a small fish shop to pick up sashimi and vegetables and put your sharp knives to work in the kitchen. Finally, you will all eat our delicious results! Kenta is the charismatic owner/manager of Tempra Cycle, a bike shop that attracts a lot of interest for selling bicycles and original parts hand-made by Japanese craftsman. He is a key figure in Japan’s pist bike culture. He will share details of the best bicycle shops and mechanics, where to find artsy apparel and hotspots where riders gather. Soufu is a Japanese calligraphy artist and Experience host who also designs calligraphy signs for businesses. She founded MOJIKARA Laboratory, a place to explore the power of Japanese characters. She will share her favorite places for calligraphy lovers such as a rare calligraphy museum, a supplies shop with 400 years of history, and an all-you-can-drink sake bar where you can try to judge the drinks by the calligraphy on their labels. Originally influenced by club tracks of the ’90s, DJ SAGARAXX has deep roots in hip-hop and other soulful music. Now, as well as DJing around Tokyo, his Coffee & Cigarettes Band runs its own label, Electric Roots. He recommends relaxed hangouts playing hip-hop, downtempo and dance music. These include a club in Aoyama where people who love music have gathered for over 20 years, and clothing stores that support grassroots artists and have close connections to the street scene. Mami is a Tokyo fashion designer who has been a student of Japanese culture since a young age and has extensive knowledge of traditional clothing. She offers up her expertise as an authoritative companion to help discover stores that blend traditional techniques with modern concepts, selling unique but wearable contemporary outfits. Founded in 2008, Airbnb’s mission is to create a world where people can belong anywhere they travel, connecting with local cultures and enjoying unique travel experiences. Through its platform, it allows people looking for accommodation to connect with others with available space, from apartments and houses to castles or treehouses, in more than 65,000 cities and 191 countries. With Experiences, Airbnb offers unprecedented access to communities and local interests, while Places allows people to discover the hidden gems of the city through the recommendations of people who live there. Airbnb is people-powered and the easiest way to earn extra money with available space in a house or sharing passions, interests and cities. This entry was posted in Adventure Travel, Arts and Culture, Festivals and Events, Flights, Hospitality, Recreation, Tour Operators, Tourism, Travel, Travel Agents, Travel Apps, Travel Education & Courses, Travel Management, Travel Services, Travel Tech, Travel Tips & Info, Trips and tagged Airbnb, Calligraphy, DJ Sagaraxx, Japanese, Joe Gebbia, Kenta Kobayashi, kyoko, Mami Nakamura, Soufu Honda, Tempra Cycle, Trips. Bookmark the permalink.